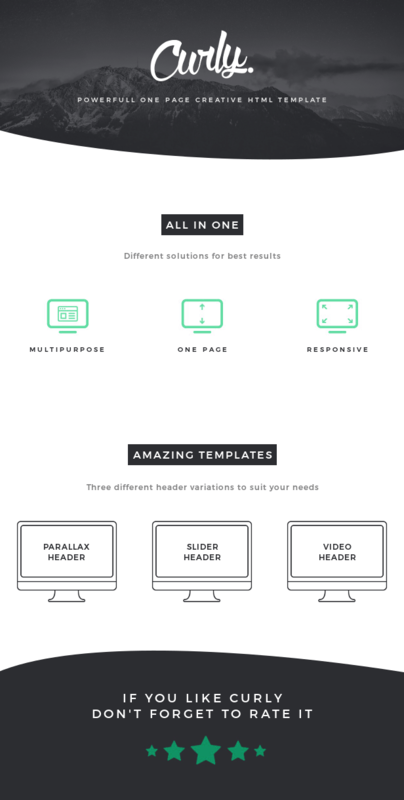 Curly is All-in-one, Multipurpose, OnePage and Responsive Template! It consists of 3 amazing pre-designed template versions. Our theme is fully responsive and easily customizable, making it pleasant to work with. It is perfect if you like a unique clean, flat and minimalistic design.